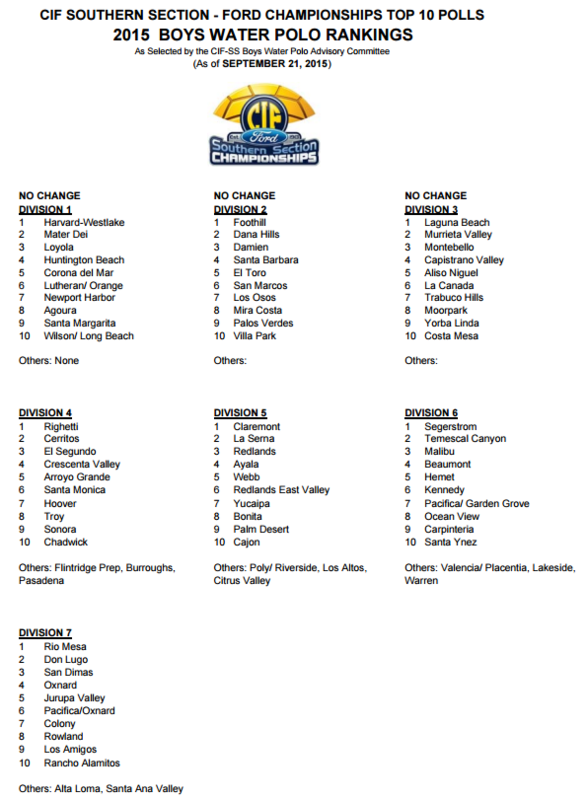 AMBASSADOR LEAGUE >> Melissa Arechiga of Grand Terrace qualified for CIF after winning the league’s singles championship. Teammate Lauren Aguillard finished second and also qualified for CIF singles. The doubles team of Adriana Bravo and Teresa Bravo from Colton High won the league’s doubles title. GRANITE HILLS 10, SAN GORGONIO 9 >> Christian Nunez scored seven goals for the Spartans (10-19, 7-4) in the San Andreas League loss to the Cougars (13-6, 8-3). Oscar Guardado and Ben Yanez each scored a goal for the Spartans. San Gorgonio will play at 3;15 p.m. Tuesday against Fontana. Two standouts from the Los Osos water polo team have made their decisions on colleges. Stewart was the Baseline League Most Valuable Player and All-CIF selection, helping the Grizzlies to a Division 2 runner-up finish. 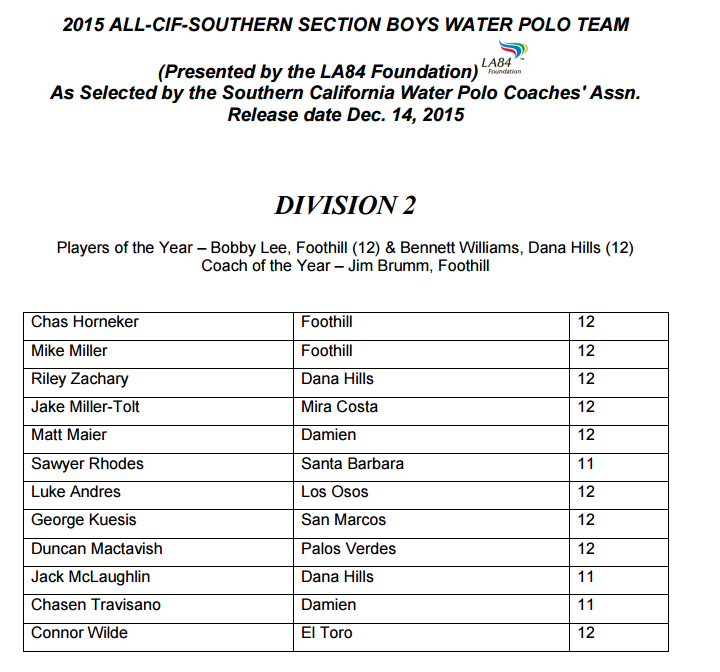 He led Los Osos with 90 goals, but also tallied 96 steals, 42 assists and 32 ejections drawn. Meanwhile Thomas Halverson has chosen Pepperdine. 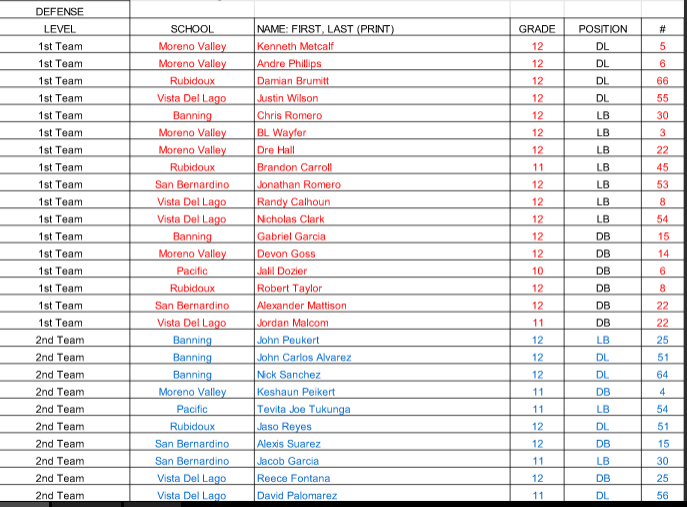 He too was a first-team All-Baseline League and All-CIF selection. He managed 49 goals, 22 assists and 36 ejections drawn. Both were part of Los Osos teams that won CIF titles in Division 4 their sophomore and junior seasons. 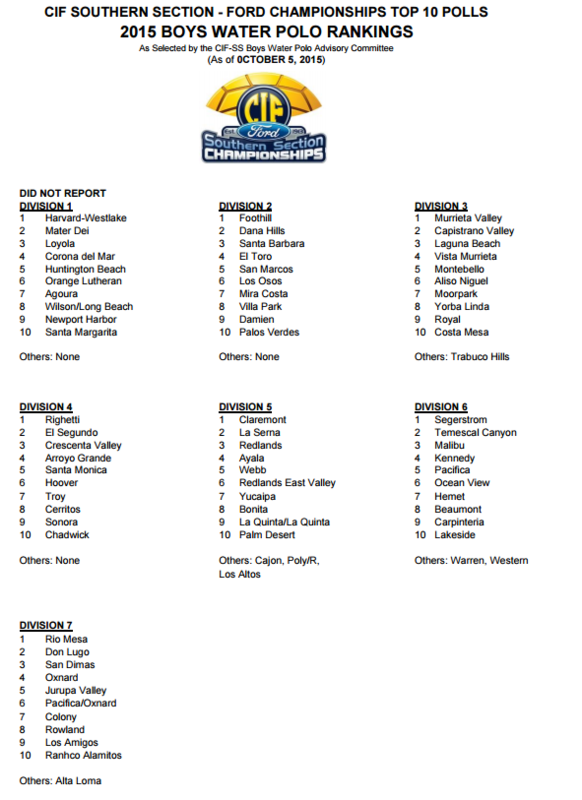 It was a banner year in boys water polo with Los Osos and Don Lugo finishing as runner-up. Redlands also got to the semifinals. Those teams and players were rewarded. 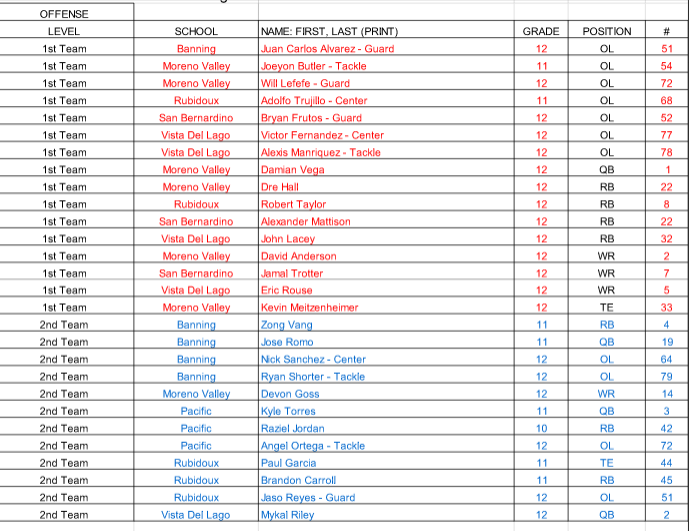 Here’s the San Bernardino County players that earned All-CIF recognition.